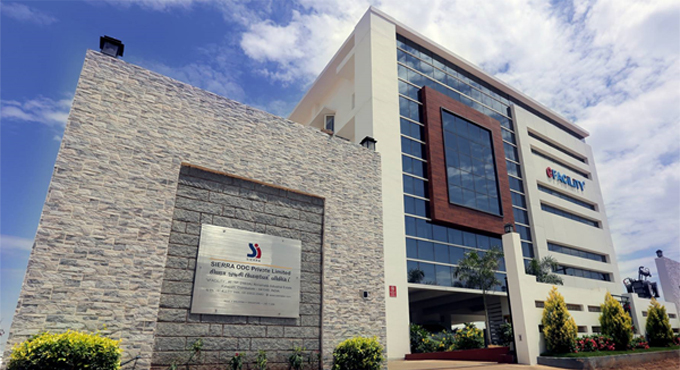 Coimbatore, India June 29, 2017 – The SIERRA ODC’s eFACiLiTY® building has been awarded LEED Platinum certification by Green Business Certification Inc. (GBCI), the certifying body for all LEED projects worldwide, scoring 103 points out of 110 points, establishing it as the world’s 2nd highest ranking green building score under LEED NC v2009. There are 90,000 commercial LEED projects registered across 164 countries and about 37,300 have got certified so far. The building was designed and constructed with an emphasis on increasing the efficiency of resource use – energy, water, and materials – while reducing its impact on human health and the environment throughout its entire lifecycle. 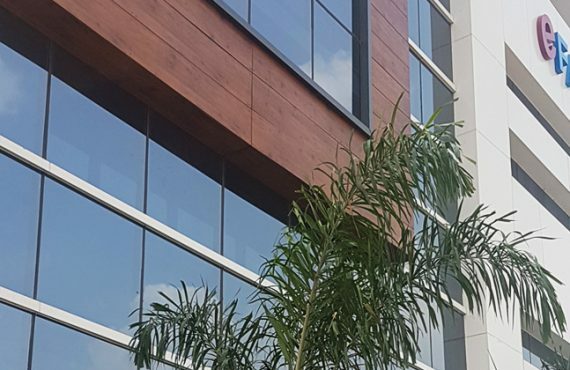 To further promote the benefits of green building, SIERRA ODC is establishing an on-site Green Learning Center where students, social enthusiasts, industry experts and the general public can learn the benefits of green building and how they can easily apply certain strategies at home and work. SIERRA ODC is a Coimbatore based Software/IT Solutions Company offering Custom Software Development Services and end-to-end IT turnkey solutions to customers world-wide. SIERRA is the developer of eFACiLiTY® – Enterprise Facility Management Software, a leading Computed Aided Facility Management (CAFM) Software in Asia & Middle East. SIERRA’s clientele includes many Fortune 500 companies and government agencies spread across Asia, Middle East, Australia, USA & Europe. SIERRA is a Micro-Small and Medium Enterprise founded and headed by Coimbatore based Entrepreneurs. GBCI is the premier organization independently recognizing excellence in green business industry performance and practice globally.